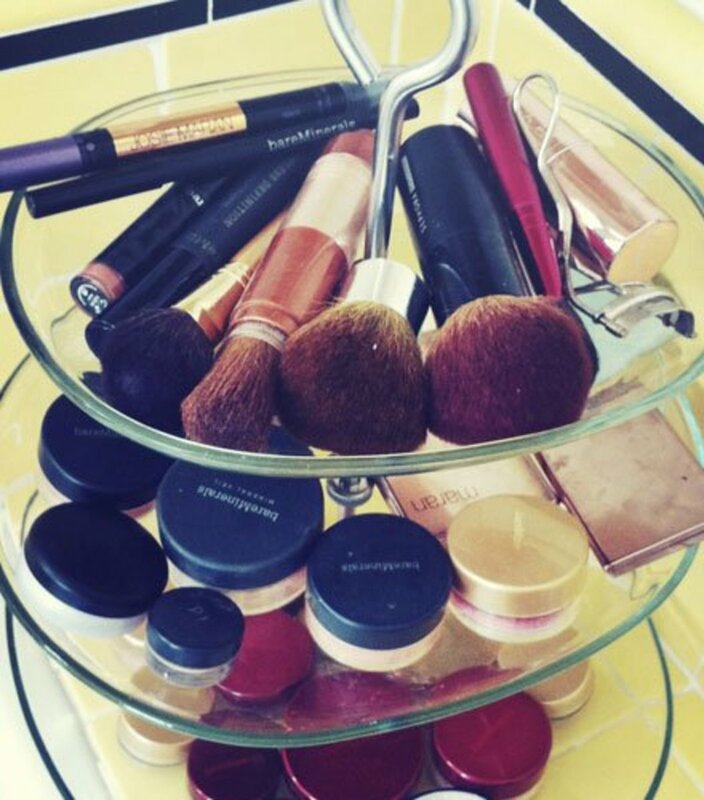 Whoever said diamonds were a gal's best friend clearly forgot about makeup! With more products than ever on the market, it's hard not to have an avalanche of cosmetics in your arsenal of war paint. 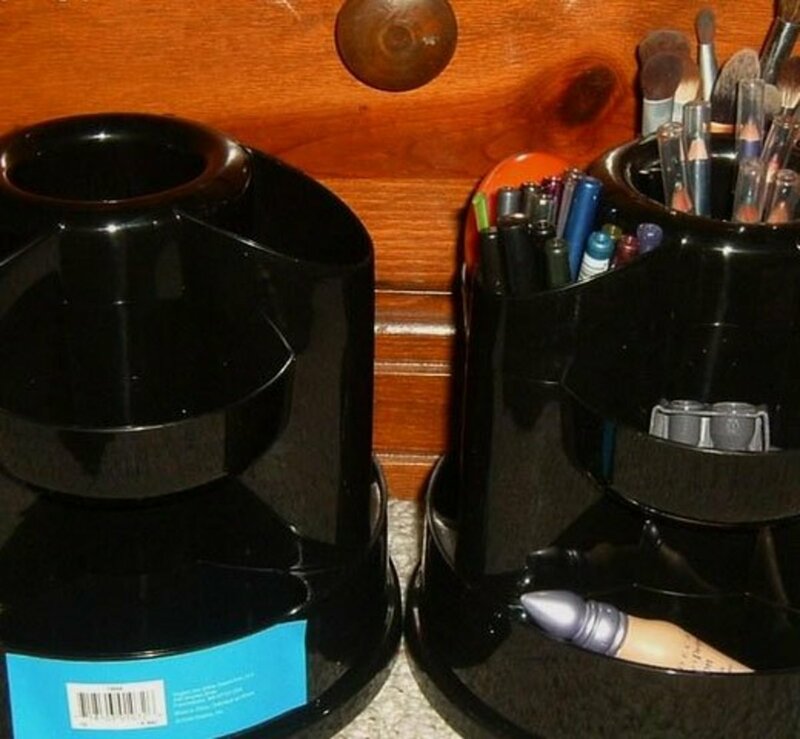 If your vanity corner looks more disaster than delight, check out these awesome ideas for de-cluttering your supplies - for all full tutorials check out the diy makeup storage ideas. Save candle jars to store different types of cosmetics so you can find and retrieve them easily. Bathroom storage mason jars easily tack onto a painted wooden board with pipe clamps and keep everything within reach and keeps things looking classy. 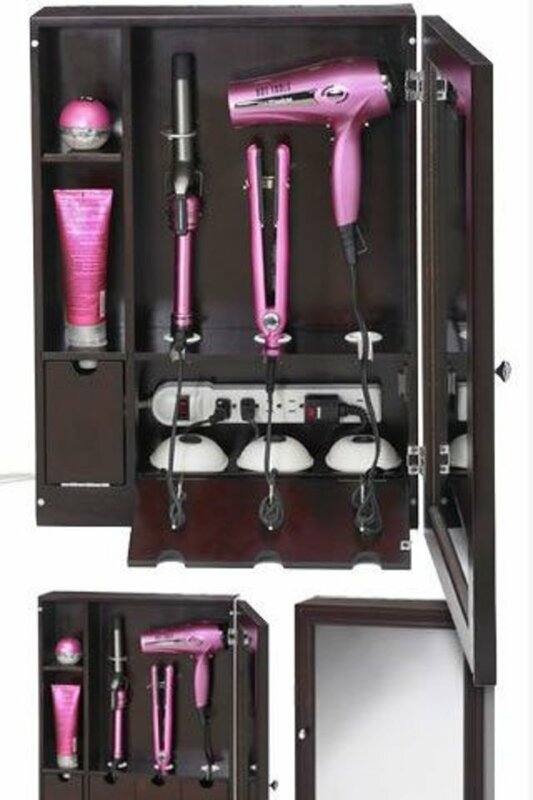 Keep your hair care tools safely stored and organized in this mirrored cabinet. 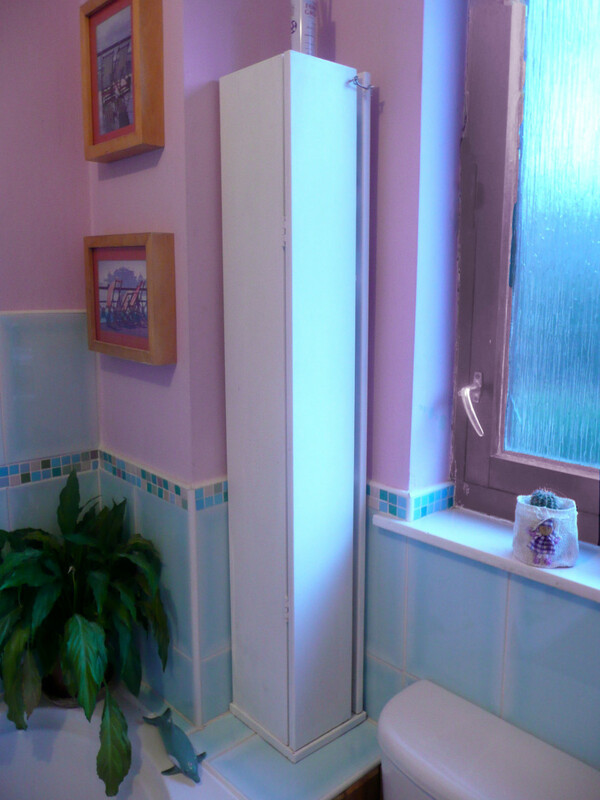 No more clutter, no more cords and increased bathroom storage space! Display your favorite nail polishes by making a DIY nail polish rack out of repurposed wood. 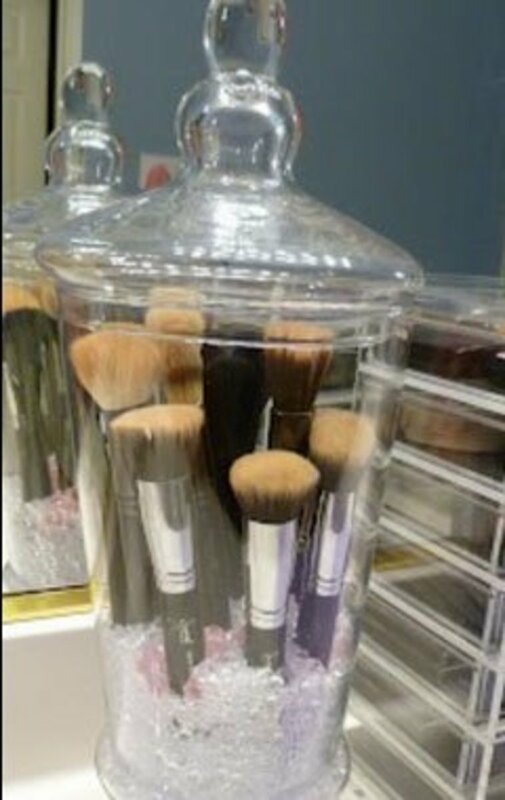 Glass jars are a very practical and pretty way to store items such as brushes and eye shadows. 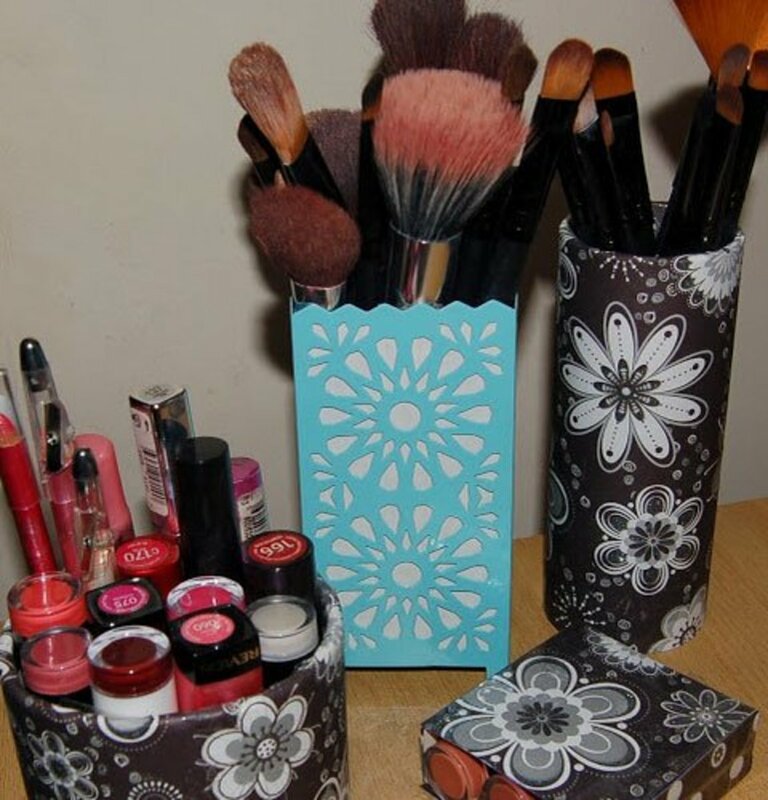 Cover old containers with scrapbook paper for a budget-friendly storage solution for cosmetics. 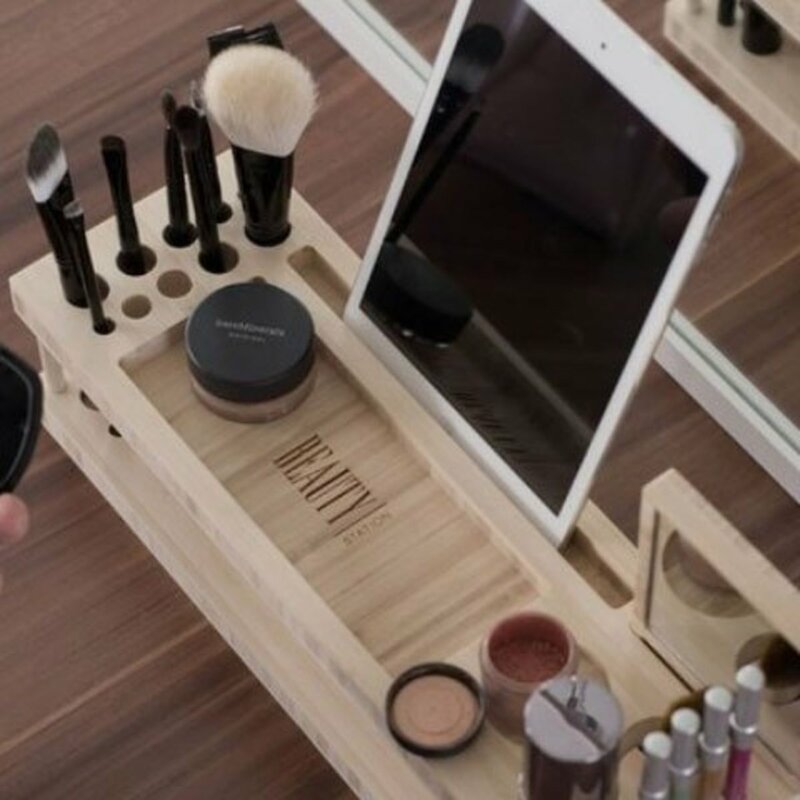 Use a stationery organizer to keep everything neat and tidy on your vanity unit. 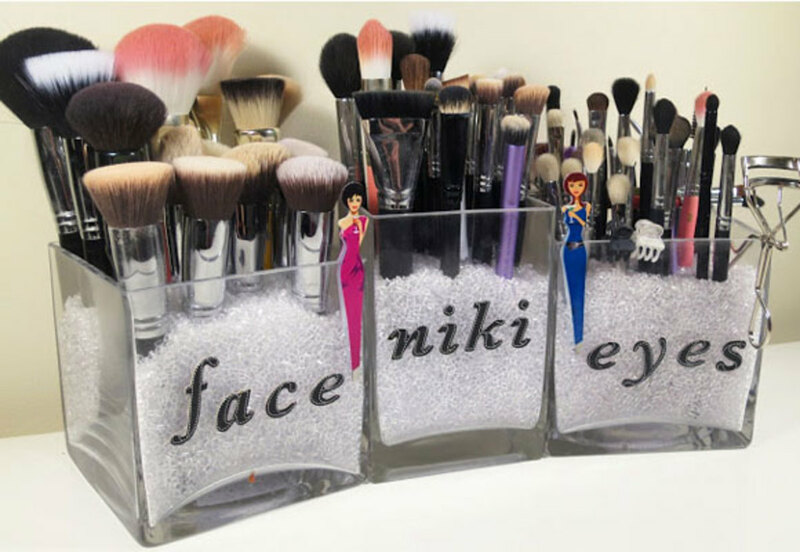 Fill a jar with crystal pebbles and pot your brushes. Go even further by labelling each jar. Get an old frame and attach to your magnetic board. Customize it using wallpaper and mae sure to apply magnets to each product. Don't forget to click the link at the top of the page to get the full tutorials! 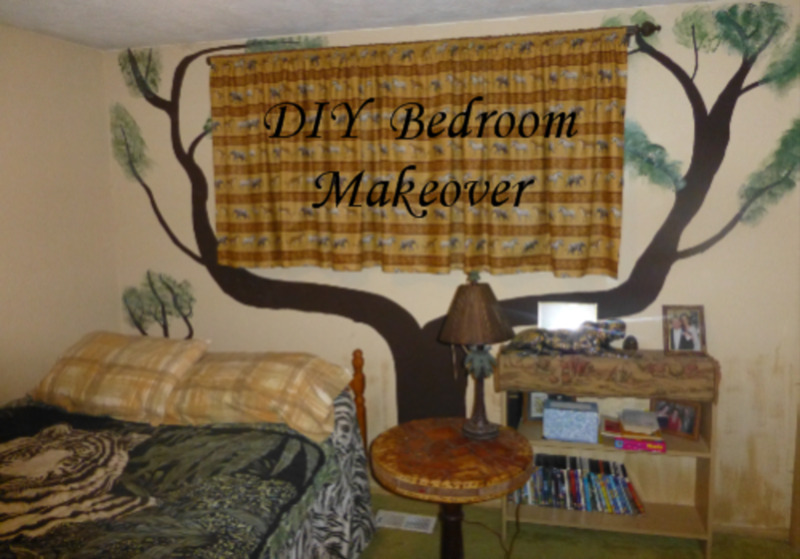 Paint a spice rack from the charity or dollar store to showcase fingernail polish. 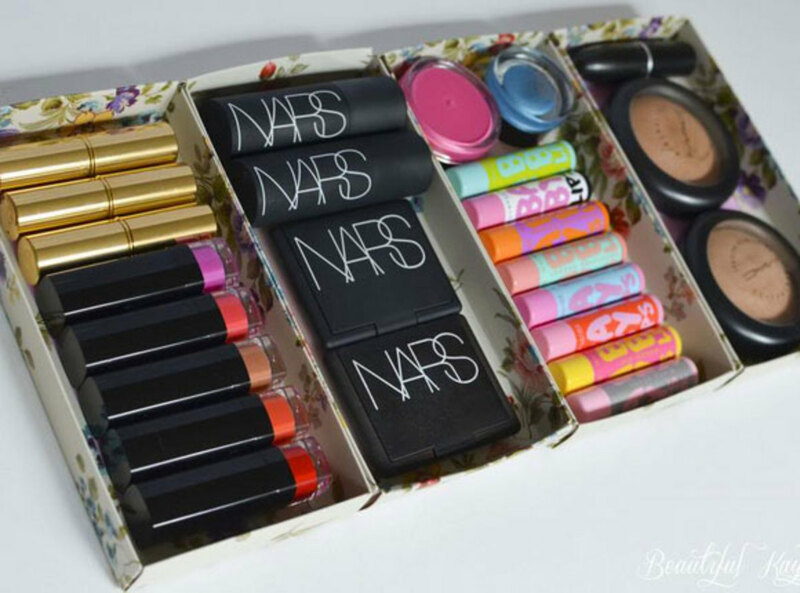 Use cute packaging from gift boxes such as bath sets to make pretty compartments for your make-up. 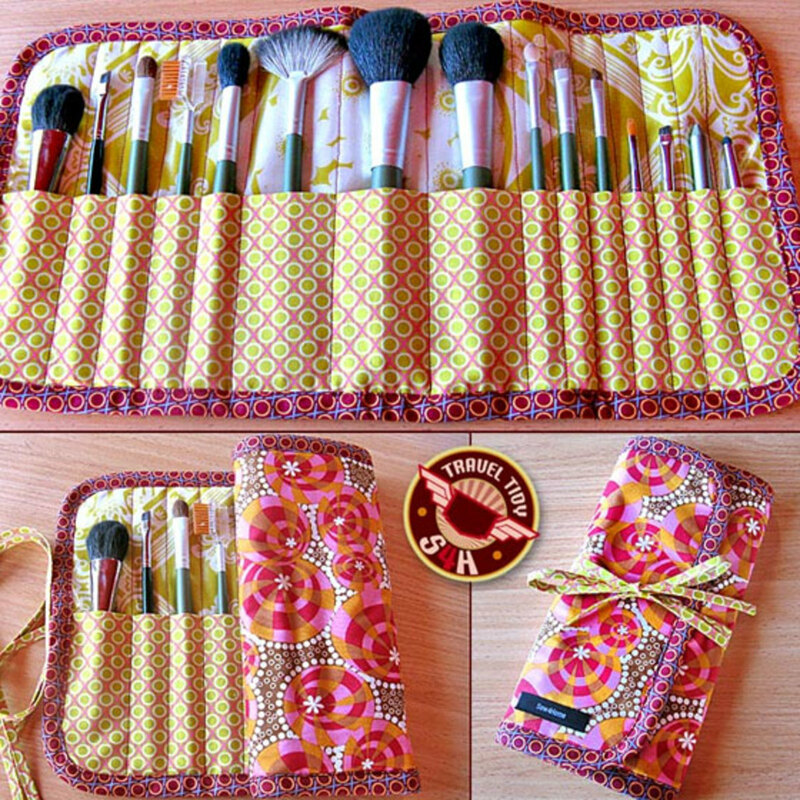 This case is perfect for travel, and also very practical for everyday storage of your make up brushes. 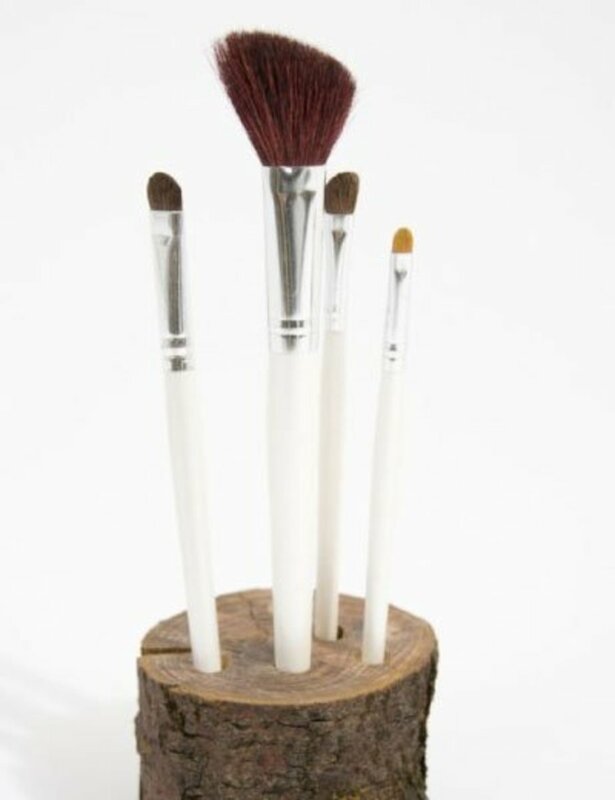 Cleverly, adhesive magnetic roll is attached to your brushes here. 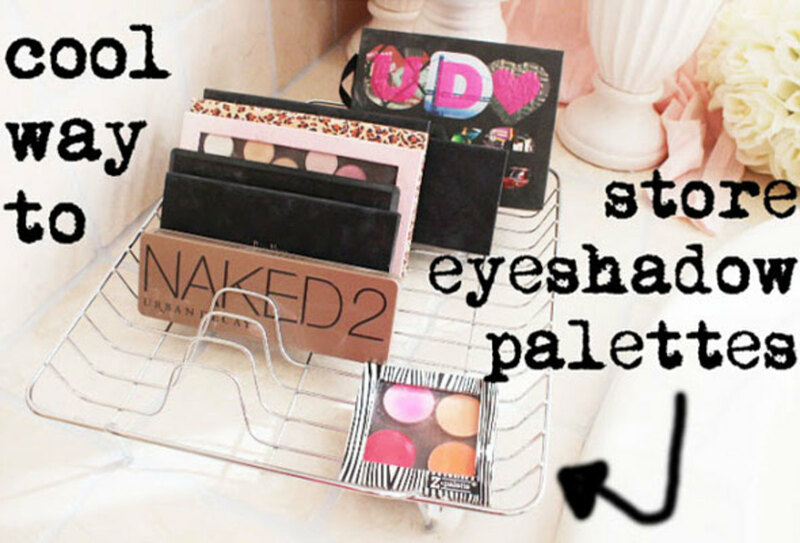 Store eye shadow palettes on upcycled racks for amazing organization. 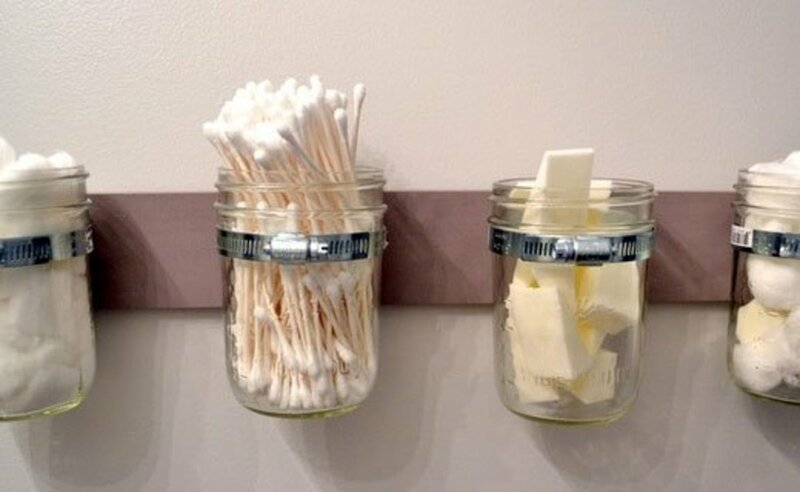 Use a toothpick dispenser as a q-tip dispenser. This tiered tray can be made from dollar store trays and candlestick holders, and painted to the color of your desire. Drill holes in a wooden block such as a log and you have a handy DIY stand! 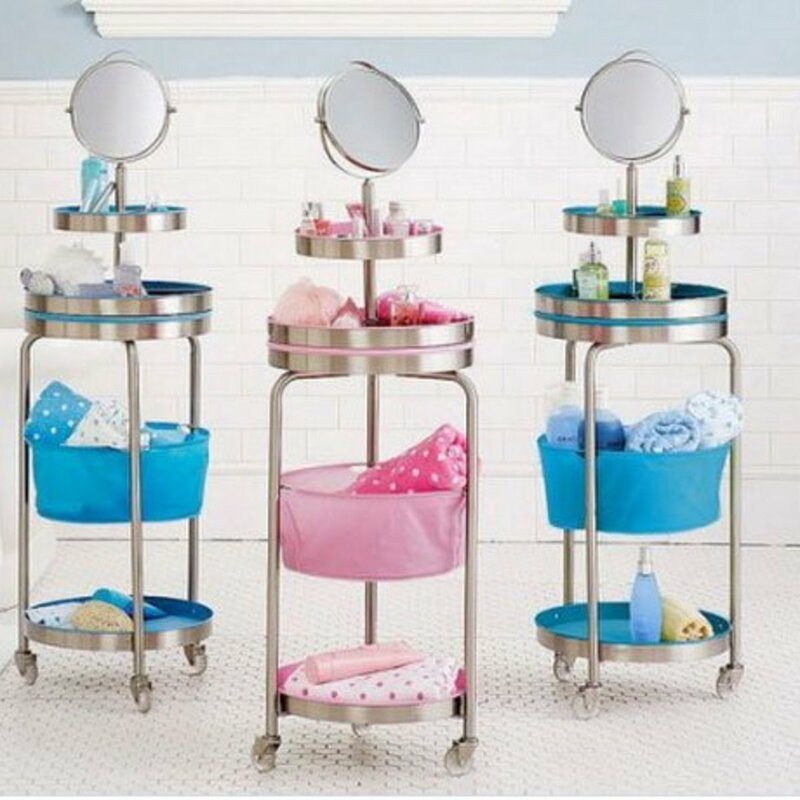 Create valuable space with this three-tier trolley which has a cosmetics mirror on top. This is in fact two units stacked on top of each other. 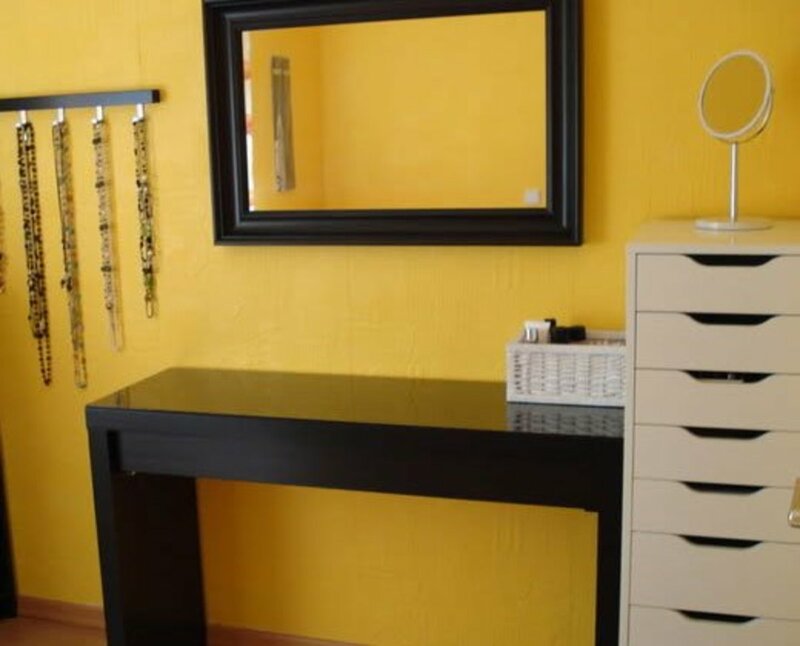 Each unit has six drawers,everything is hidden and it looks swanky. Help your friends to de-clutter by sharing this page and check out this link for more helpful tips. Love, love, love the hair care valet. What a great gift idea! Super creative! Thanks! Omg thank u so much my passionate makeup artist of a daughter started to work on these and bonded they have totally work in fact I told all my friends at her basket ball game and now it's a passion we all enjoy! 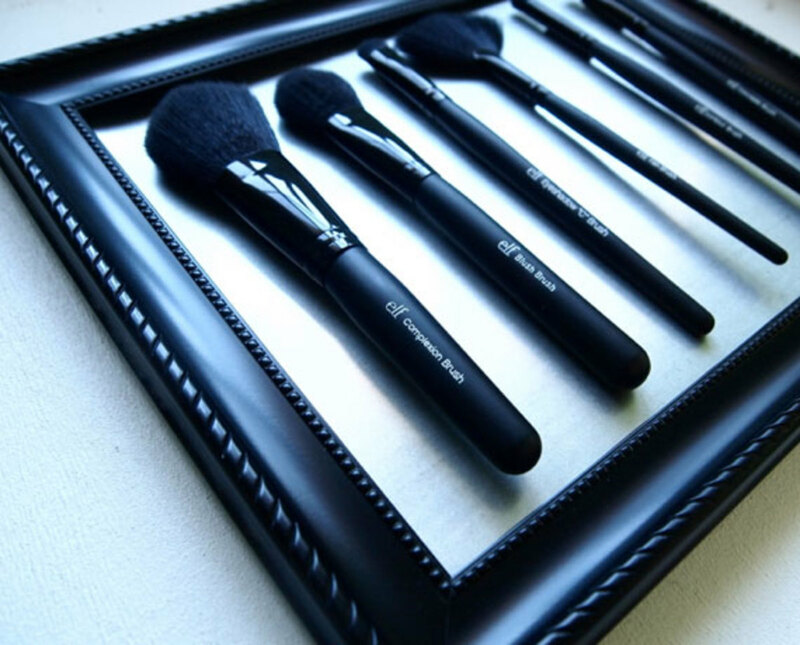 Omg these are amazing I have already found A List of things to use thx for inspiration!!! Lots of great ideas in this hub. 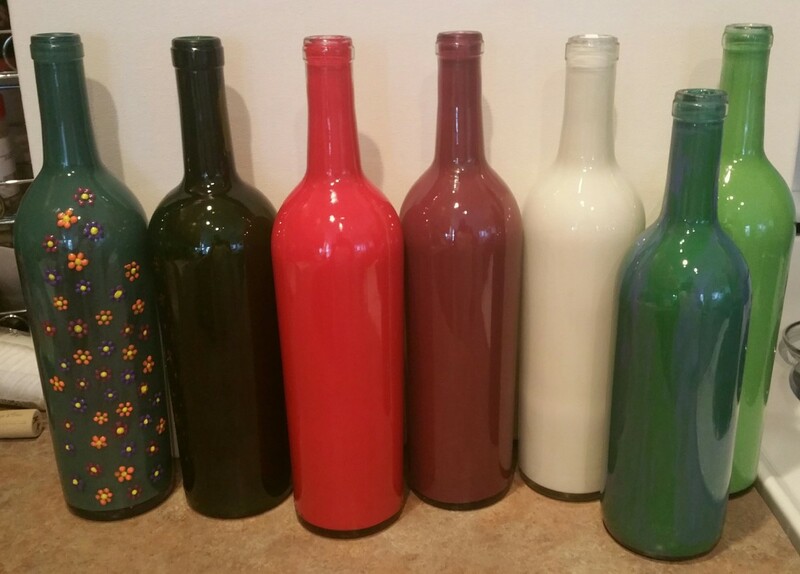 Thanks for sharing these with us. Thanks so much for commenting Kathryn , hope you have a great weekend too! 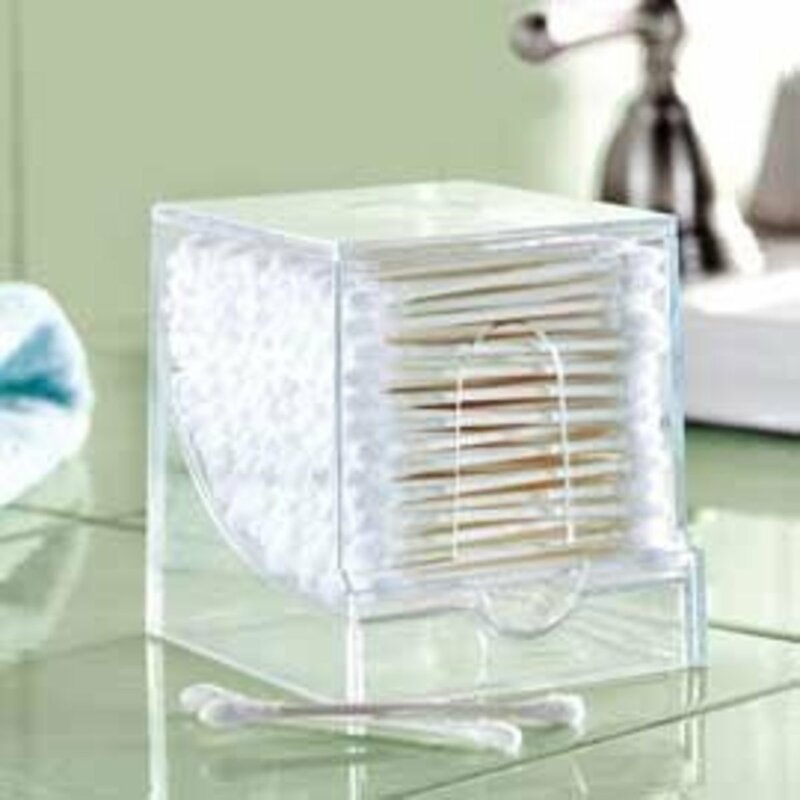 where to buy the toothpick dispenser that is large enough for qtips? Anytime Ezzly. I hope to stop by and visit more of your hubs. Ezzly, I love all of these practical ideas. I would love to give them a go sometime, whenever I wear makeup again. Voted up for useful! Thanks for visiting Au fait , yes totally agree its better to make things look as aesthetically pleasing as possible ! 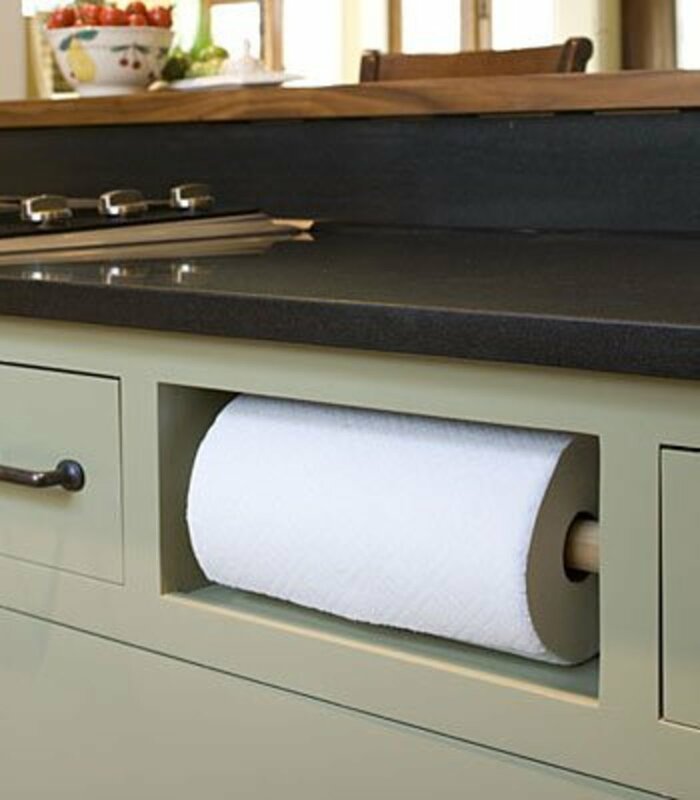 You have some interesting storage ideas here. 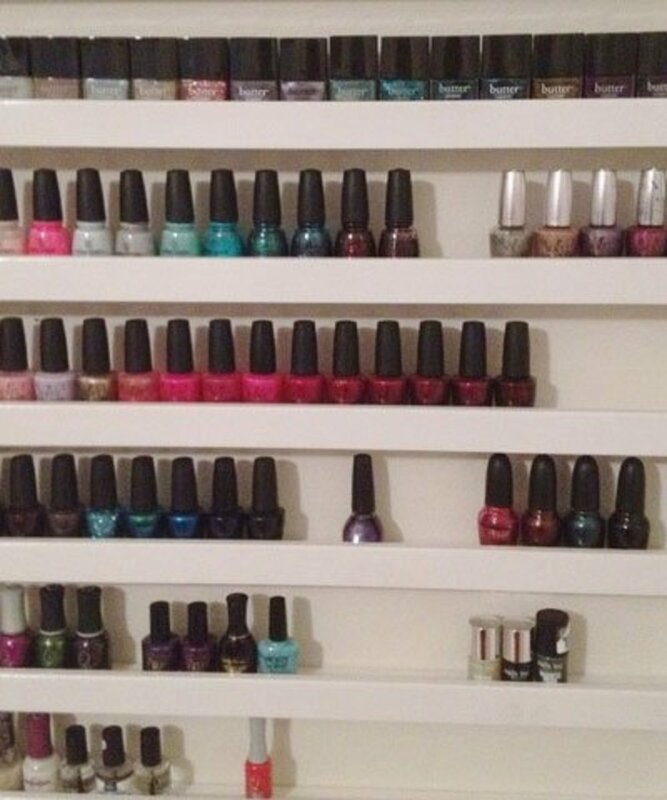 Good when you can store them in a way that they're organized, still easily accessible, and look nice too. Voted up, useful, and pinned to Awesome HubPages. 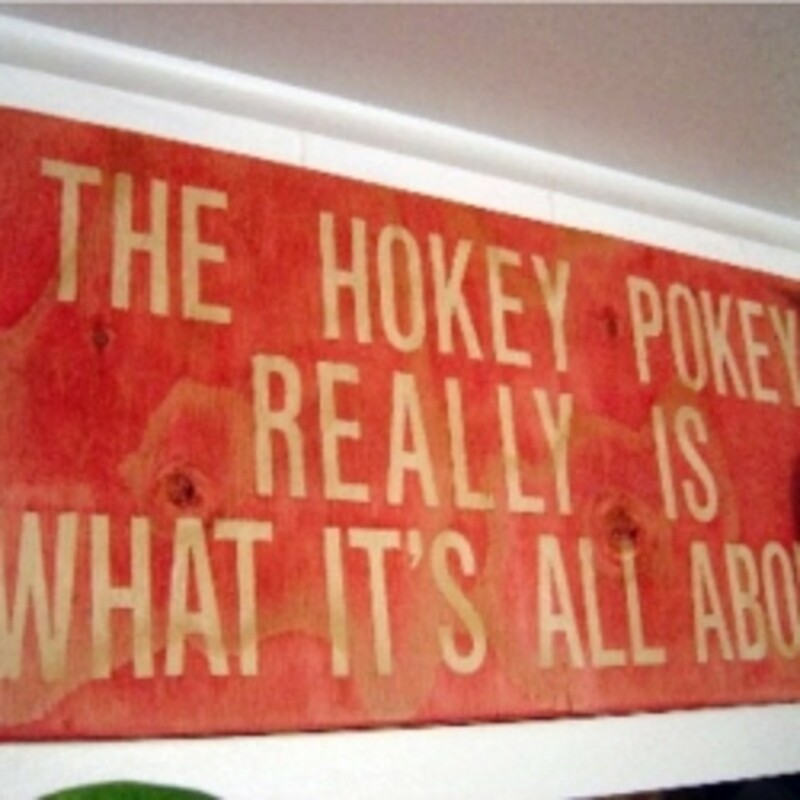 I have been a piece of the self storage business and small organization. I love the idea of using old candle & mason jars. My makeup is a disaster. 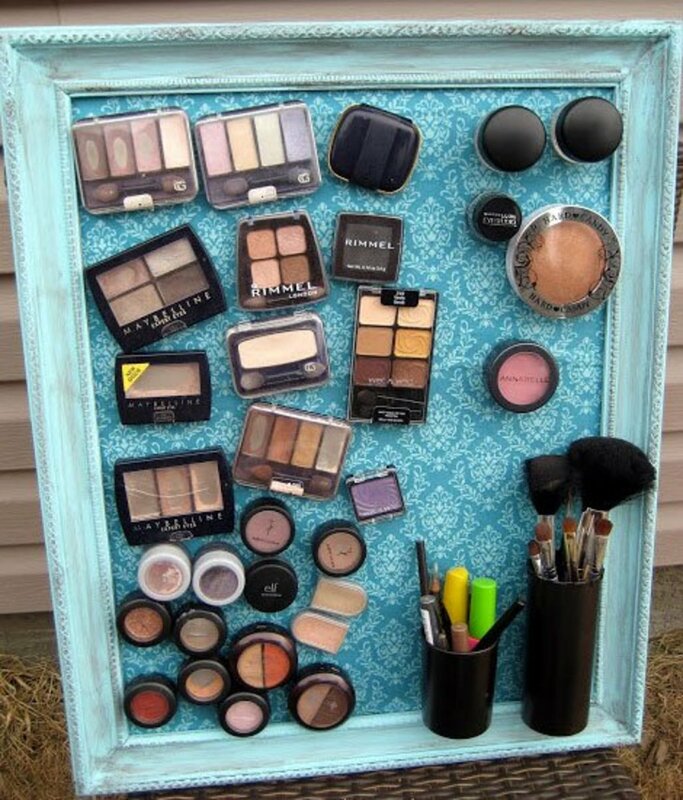 I'm going to try this and hopefully organize everything. Thanks, Kim. 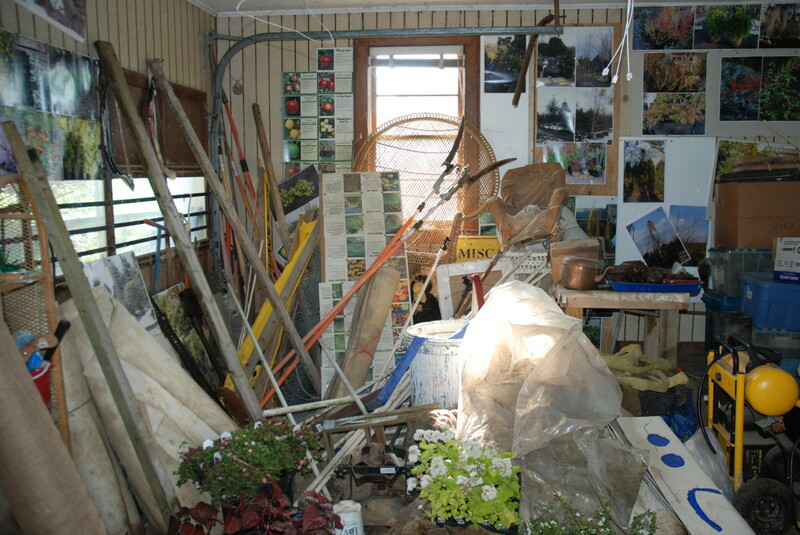 Thanks for commenting Deborah-Diane, yes totally agree , am a self confessed hoarder lol ! 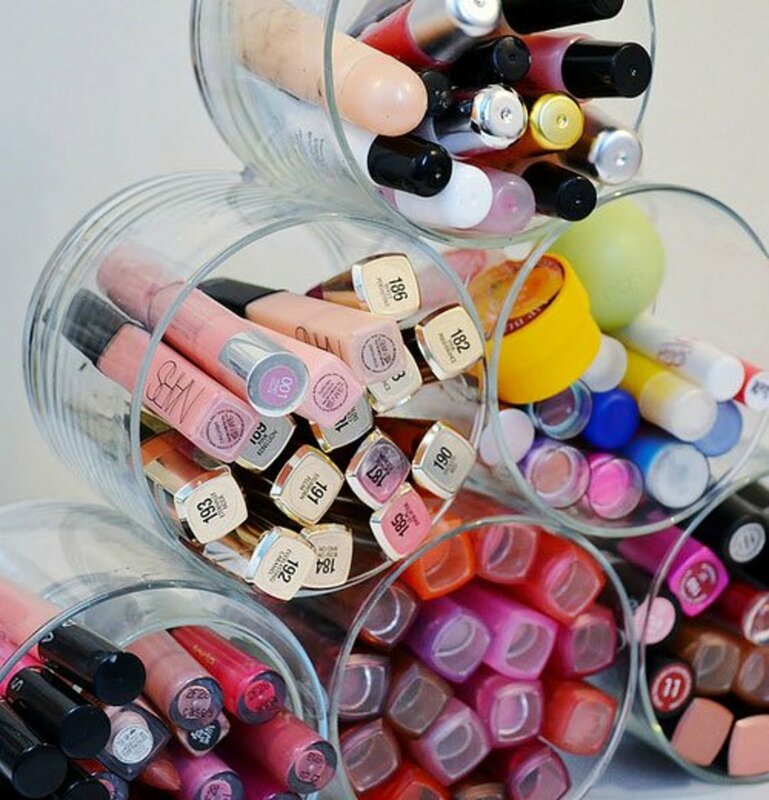 It can be so challenging to try to figure out how to organize your makeup. These are wonderful suggestions! The tiered trolley is a great idea! I love the q tip dispenser idea!